Often a common complaint amongst weightlifters, shoulder pain and shoulder injuries are regularly as a result of poor technique and possible over training. Having inflexible shoulders can hinder performance of certain lifts such as the squat or bench press, however these nagging shoulder problems that are frequently at the root of most body builders woes can be alleviated by changing your workout routine to something far less strenuous but still just as effective. Developing and understanding while executing good shoulder mobility range can help to combat a plethora of shoulder problems and bring a whole new lease of life to your upper body workout routines. Switching from lifting heavy weights to bodyweight and calisthenic based training will all but eliminate those shoulder niggles that are causing you so much concern. Easier on the joints, bodyweight exercises still give you a great and intense strengthening workout without a decreased risk of injury. Encouraging both mobility and flexibility in the joints, calisthenic workout routines also have the ability to strengthen, tone and define muscle groups, and when specifically working on the complex muscle groups that surround the shoulders, these bodyweight exercises can have a huge impact on shoulder mobility which is vital for any fitness enthusiast at any level. Improper form when working out can be recurrently blamed on inflexibility within the joints, and even more so for those who lift heavy weights regularly, so switching from a stringent lifting regime to an all-encompassing bodyweight routine still gives you results but in a safer and less injury prone way. Helping in every day tasks such as carrying and reaching, the importance of shoulder flexibility should never be underestimated. Flexible shoulders not only increase strength but allow you to do more including working out with better efficiency and decreasing the load that the rest of your body (ligaments and bones) have to bear. 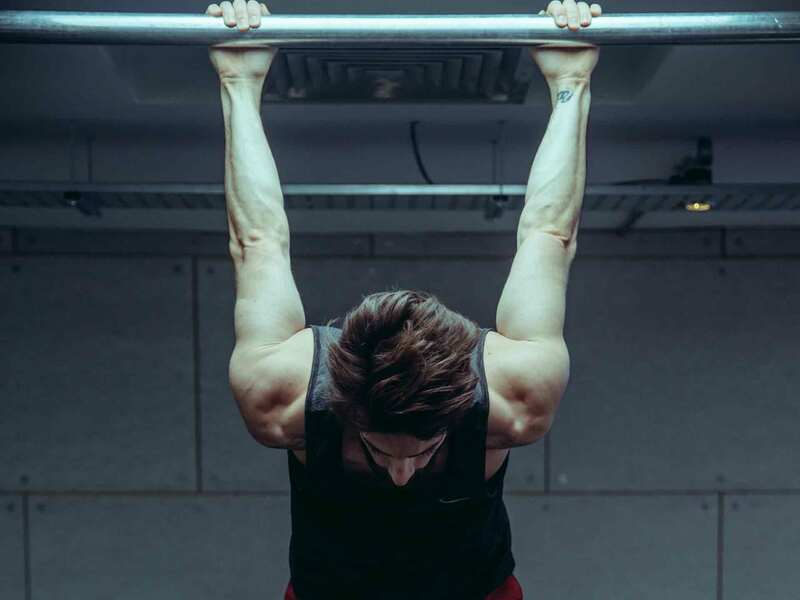 Having good shoulder flexibility is vital for anyone, if you are a beginner in the gym or even a seasoned pro, taking on some isolated bodyweight exercises will see you reaping immediate rewards. Loosening up your stiff shoulder joints, bodyweight exercises will rapidly but gently increase blood flow to the area, warming up your shoulders without putting them under any unnecessary strain and preparing them for a more intense workout. Avoiding ligament damage and injury is probably the most prominent aspiration for any athletic individual, competitive or otherwise, in conjunction with increased endurance and seeing results. It is important therefore for anyone looking to build muscle to also consider the long term impact something like weightlifting can have on the joints and muscles. Whether you are suffering through an injury right now, or are just considering your options as a fitness beginner, opting for calisthenic bodyweight work out routines can save you a lot of pain later. The human body is a complex thing, and while we would all like to see fast results from our healthy lifestyle and workout plans, it’s good to remember that overdoing it can cause more harm than good and can bring about enormous setbacks time and time again. With bodyweight exercises, this heavy impact lifting is virtually eliminated and uses basic techniques to strengthen the whole body as well as improve flexibility and aid endurance. The benefits of this type of training are obvious for all to see, not only do you get to reach your long term goals, you can also be safe in the knowledge that you are not putting any party of your body under distress and those niggling shoulder problems you used to have will soon be diminished for good.